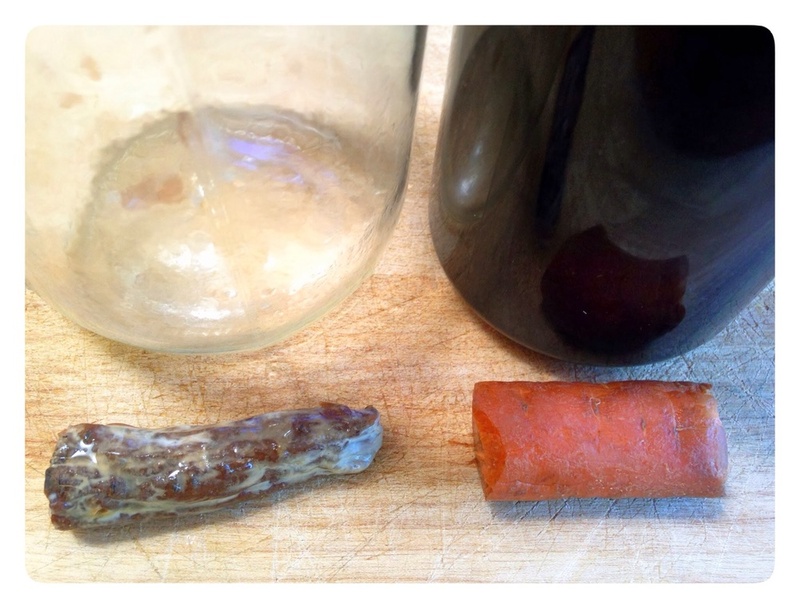 On January 25, I published a post about my favorite type of glass: Miron. I wanted to share my experience and research about this protective and highly functional product with as many people as possible. It works wonderfully at preserving and enhancing the quality of foods, liquids, herbs and cosmetics. I felt that many people could benefit from the knowledge and application of it, so I wrote this informative article about it. Shortly thereafter and much to my amazement, the company contacted me personally to tell me that they liked the article, thought I was a good writer and asked if I would be interested in rewriting the entire text for their website. Their website was seven years out dated and desperately needed an upgrade, so the timing was perfect. I spent approximately the next month digging deeper into the research surrounding the science of bio-photons, radiation and violet glass. What follows below is my unexpurgated contribution to their company. The work they received from me and accepted for official print has been understandably edited down for the sake of brevity (their website is still old and doesn't include my text at the time of this writing) If you read this thorough exploration and further follow the links, you'll be leagues ahead of the majority of people in terms of glass and bio-photons. Take a look at these pictures, they speak volumes for themselves. This whole theoretical concept is surprisingly summed up in this striking scientific experiment which I conducted. 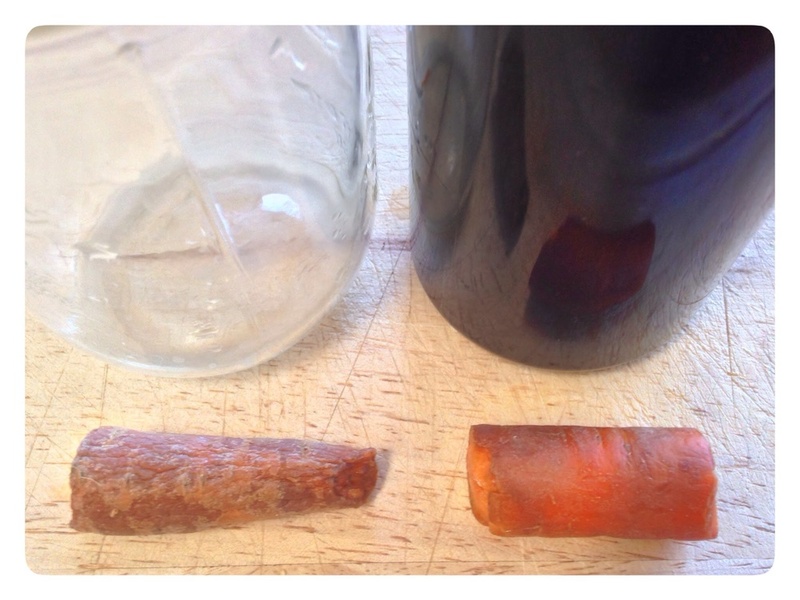 I used an ordinary carrot, snapped it into two pieces, placed one half in a clear glass jar and the other half in a Miron Violet-glass jar. Both the lids were secured on the containers and set near a window and received full desert sun in the spring of 2013. The first picture was taken at two months into the experiment and the second one was at four months. I'm still quite pleased with the results and feel that they conclusively prove the effectiveness of Miron. Naturally occurring glass has been commonly used by Stone Age cultures across the planet for the production of weapons, tools and decorative objects. Because of its regional specificity, beauty and precision, it was highly sought after and extensively traded. Archaeological evidence suggests that the first intentionally made glass was invented in Ancient Egypt, circa 1550 BC. There were skilled craftsmen within Egyptian society who specialized in creating masterful works of art which were treasured by royalty and have remained intact today to be admired by all. The culture that once flourished in Africa's present day Cairo, reached a high level of sophistication for receiving, storing and transforming sublime energies of sound, light and organic material which rivals any other succeeding civilization. Dark violet glass was up there with the most prestigious items used in their society because of its impressive integrity and was coveted by artisan jewelers. One technique they used for the preservation of precious elements and were the first to employ, was through the production of metal and glass. Chief among these were gold and dark violet glass vessels for sealing away water, oils, and medicines. Mummification was another technology those distant desert dwellers had developed for the purpose of preserving Pharaohs, nobility and other appointed people. In terms of longevity, they nearly perfected the art of life extension through these cunning dual strategies. Perhaps the most popular legacy the Egyptians left us are the pyramids of Giza. They formulated an ingenious method for measuring the Earth through geometry and calculated the precise placement of the great pyramid on this planet and in relation to the stars, as they were also quite adept at astrology. Those megalithic stone structures are shrouded in mystery and conceal corridors, complete with ventilation shafts, which lead to chambers where the elite were ritualistically immortalized, often entombed with violet glass wares. During the European era of scientific mysticism, circa 1200-1600 AD, Midieval alchemists followed the clues set forth by their neighboring predecessors and understood the importance of violet glass. Investigative alchemists came to the conclusion that combining certain minerals created a kaleidoscope of colors, each spectrum corresponding with specific effects on the contents. They noticed that the closer the color of the glass got to the ultraviolet and far infrared frequencies, the more congruent the effect would be on their elixirs. According to the esoteric literature, violet and ruby colored glass were superlative for achieving well balanced potions and the fine tuned recipes for getting this glassware just right were well kept secrets, passed along exclusively through word of mouth. Centuries later, Jakob Lorber (1800-1864, teacher, musician and mystic), described a method for the absorption and retention of photons from the Sun into natural products. The products were stored in open dark violet glass dishes and were for a long period of time exposed to direct sunlight and therefore energized. According to his exhaustive studies, products that were stored in dark violet glass became solar-enriched and were for decades preserved. To date, experiments with Miron Violetglass by prof. Hugo Niggli on biophotons in the 1990's also prove this phenomenon. With this resulting evidence as a platform, Miron was a very early collaborator of promising biophotonic research. Miron Violetglass was established in Switzerland by 1995. Until this time, the use of dark violet glass was lost to obscurity in the global marketplace and in the dawn of the 21st century was finally resurrected to have its day in the Sun. In the beginning, our focus was to supply superior glass for packaging sun remedies and the first few years of sales were to smaller companies selling homeopathic products. Even though violet glass has a long history, when Miron made it to the market, it was unusual for packaging and since then we have distinguished ourselves as a pioneer in the industry. Miron represents the vanguard of functionally protective glass artistry and is now embraced by hundreds of companies who choose to package their products in the best glass. Miron manufactures all of its glass and accessories in two highly specialized European production facilities, both rich with traditional glass making techniques. A seamless blending of old world technology with modern methods of efficiency create a whole new way of looking at glass, through Miron. The initial appearance of our glass looks black on the outside because human eyes are relatively insensitive to these frequencies but when you peer through it in front of a light source, you will be enlightened with a violet glow. Our glass is consistently tested in a spectrometer to absolutely assure the color density and transmission curve meet the very precise production standards which Miron observes in order to achieve its intended purpose. Since its inception, Miron has evolved as a pre-imminent player in the marketplace and offers a complete assortment of bottles, jars and accessories to suit your diverse needs. Worldwide distribution takes place from a large DB Schenker operated warehouse in Neutraubling, Germany. DB Schenker has a total of 94,000 employees at over 2,000 locations, strategically positioned to take care of our warehousing requirements and your shipping requests. Currently, 35 countries, hundreds of companies, countless retailers and restaurants around the world are enjoying the benefits of Miron glass. In addition to our original line, we supply private label designs and welcome new project ideas and packaging concepts you might have that would challenge us to upgrade our operating system. Those of us within Miron value relationships and your personal happiness and professional success are important to us, as we grow together into the 21st century. Our customers business often increases when they introduce their products in Miron's unique line of glassware. We invite you to make the switch today and see for yourself why we're the leader of the packaging industry. Whether you deal with water, honey, olive oil, exotic ointments, flower essences, spices, teas, superfoods, vitamin supplements, homeopathic medications, cosmetics or just about anything else, Miron is here to serve you and protect your goods. The human body benefits best from nutritionally dense, enzyme rich, raw, wild, organic, natural and fresh foods. Excellent examples of these include super-foods and super-herbs such as cacao beans, goji berries, blueberries, green sprouts, blue/green algae, aloe vera, bee products (honey, pollen, propolis, royal jelly), coconut oil, olive oil, chia seeds, ginseng root, tree barks, medicinal tree mushrooms (chaga, reishi, etc.) teas, seaweeds, plus ripe fruits and hearty vegetables. These powerful items pack more "bang for the buck" and Miron glass is par excellence when it comes to keeping them fresh. Miron glass is produced according to strict standards for how our glass actually functions and the end product is a glass that is 10 - 20% thicker in order to ensure the proper working of the glass. All Miron Violetglass receives both a cold and hot coating application during production to offer maximum protection against scratches during transport and filling. At the end of the day, Miron stands head and shoulders above all other glass, whether it's clear, amber, green or blue, Violetglass outshines them all. Certainly this is also the case, compared to plastic containers. Miron makes for a company's invaluable "ace in the hole" marketing tool to distinguish themselves from other companies. Packaging your products in Miron glass also means that they can be packed with less preservatives which can be a huge benefit for many of our customers because they might then be certified easier by local certification organizations. Not only does Miron offer maximum protection, it also does this with a large assortment of beautifully designed bottles and jars with a complete assortment of European made accessories. Altogether with a graceful elegance you've come to expect from us. Despite all the outstanding qualities of Miron glass, do take note that not all products will benefit from storage in our glass. Tests have shown for example that dairy will curdle much faster and even certain juices like that of oranges, do not store well in our glass. Miron advises all of its clients to test their products in our glass before offering it for sale to the general public. We all understand that Sunlight is responsible for creating life and enables plants to grow through photosynthesis. However, the effect of solar radiation on food and medicine transforms after harvesting them, accelerating the process of organic decomposition. Miron glass is an antioxidant glass that works essentially like a dynamic filtration device. Miron glass is therefore extremely effective at shielding from those rays of light which reside in the mid-range of 420-750 nanometers. Due to its design, degradation of contents is diminished by blocking out this band of light. Human eyes can only decode the colors from red to violet in a rainbow. Beyond these familiar hues are the far-infrared and ultraviolet spectrums of invisible light. These frequencies are proven to be therapeutic and are routinely employed as treatments in health practices such as saunas, dentistry, naturopathy and water purification. Through our glass, light in the extreme range of 380-420 nanometers (violet and UVA) is allowed a penetration of 25%-45% and in the range of 730-1050 nanometers (Infrared) a penetration of approximately 60%, allowing for a reasonable margin of 10%. These spectrums of light actually enhance organic matter and are therefore beneficial for natural products packaged in Miron. When certain products rich in biophotons are sealed in Miron glass, their energy potential is then enriched and safely kept in optimal conditions for longer periods of time. One of the primary functions of our glass is to capture the vital essences of natural elements and keep them contained in there for extended storage. Our specially formulated glass is designed in such a way that it acts as a barrier for subtle energy vibrations, emanating from the product itself, to migrate out of the glass. Recent laboratory testing on foods such as spirulina, tomatoes, chives, honey and more, show that when certain products are stored in Miron glass, they are more likely to maintain their distinctive qualities and freshness, for a number of years in some cases. According to Oriental practices, such as traditional Chinese medicine (TCM), the color violet represents the harmony of the universe because it's a combination of red and blue (Yin and Yang). Yang represents solar power and outgoing energy, while Yin represents the lunar force and incoming receptivity. The mystical union of these two opposites makes it possible for energy to flow between the top and bottom, which produces a harmonic vortex. The specially formulated combination of minerals used in the production of Miron's patented glass and the resulting color violet creates a light flow of energy, just like a magnet creates energy. Intuitive types of people who can tune in to subtle energys detect the higher frequency that is associated with free flowing currents in our glass. Different colors of the rainbow emit their corresponding vibrations and influence our emotions. Violet glass stimulates a positive feeling and sense of well being for its user. This singular color is specifically associated with royalty and the ennobled, illustrating an impression and feel of luxury, wealth and extravagance, which discerning consumers routinely prefer. The violet vibration harmonizes with bodily rhythms and plays a vital role in balancing the inter-relationship between the function and structure of the body by matching the frequency of the central nervous system. Biophotons, (from the Greek βίος meaning "life" and φῶς meaning "light") or ultraweak photon emissions of biological systems, are subtle electromagnetic waves in the optical range of the light spectrum. All living cells of plants and animals, including human beings, emit biophotons which cannot be seen by the naked eye but can be measured by specially equipped scientific instruments. Biophotons consist of light with a high degree of order, in other words, biological “laser light". Such a light is very quiet (low-noise) and is extremely stable, without the fluctuations normally observed in light. This light emission is an expression of the functional state of a living organism and its measurement therefore can be used to assess the degree of ones health. First discovered in 1923 by Russian medical science professor Alexander Gurwitsch, who named them "mitogenetic rays" and in the 1930s were widely researched in Europe and the United States, biophotons have been rediscovered and backed since the 1970's by plenty of experimental and theoretical evidence. In 1974, German biophysicist Fritz-Albert Popp authenticated their existence, their origin from DNA and later their coherence. In collaboration with other brilliant minds, he has developed an impressive biophoton theory to explain the ways in which they control biological processes through "photo-repair". Popp's biophoton theory leads to many intriguing insights and may well provide one of the major elements of a future theory of life and a holistically integrated medical practice based on such an approach. One technology through which we are able to observe this phenomenon is the visually stunning Kirlian photography. This is a collection of photographic techniques used to capture the electrical discharges surrounding an object and is named after Semyon Kirlian. In 1939 he accidentally discovered that if an object on a photographic plate is connected to a high-voltage source, an image is produced on the photographic plate. Another way to absorb biophotonic energy is through gazing into the rising and setting Sun. Sungazing is a tool for unleashing human potential and has been used for spiritual awakening through the "third eye" by ancient cultures the world over. In Ancient Egypt, it was symbolized by the "Eye of Horus", passed down through the teachings of mystery schools and stares conspicuously from the face of the American dollar bill. Our Sun is the catalyst for all life on Earth and continually bathes us in pure golden light. We can soak in these nutrient rich rays not only through our skin but also through the retinas of our eyes and even the photo receptors in the pineal gland. To master this art, simply stand on the earth or in water with bare feet, relax, breathe deeply and stare directly into the Sun during dusk or dawn when it's nearest the horizon. Proceed with care, start slowly, build up tolerance and avoid looking at the Sun when it's high in the sky, for it's potentially hazardous to do so when it's overhead. Done safely in this way, we can feed the spirit of our light bodies. 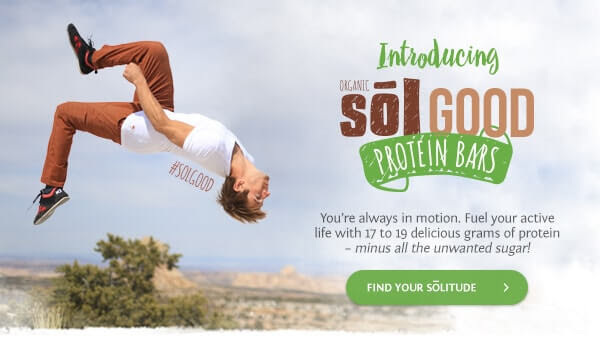 There are even some people described as Breatharians who claim they live on nothing more than "sun-food" (biophotons) to fulfill all their nutritional requirements. According to biophotonic research, it appears that the quality of foods and medicines should not be measured in caloric levels but rather in the amount of biophotons they contain. Solar energy supplies power in natural foods and the level of solar photons in them is a direct indication of their quality. Identifying the precise amount of biophotons stored in natural food is critical for improving our own vitality. Processed and preserved foods contain very little or no biophotons because they're denatured and therefore do not promote increased energy potential in humans. Indeed, they serve to diminish the stores of light in a body, sap its strength and undermine the ability to thrive. Using the appropriate packaging to store natural products with a high level of biophotons is of paramount importance. Companies that sell higher qualities of olive oil and wine have for a long time utilized dark colored glass in pursuit of achieving better protection. Miron glass offers second to none packaging in this arena because biophotons can not escape from the Violetglass in which they're safely contained. Consumer products stored in Miron glass are guaranteed to retain the energy of the Sun, the radiant quality of its biophotons and impart its nutritional efficacy for a longer life span. Water is the life-blood of the Earth and the life of our blood is similarly bonded to water. This precious liquid comprises nearly two thirds of the Earth and the human body. Human cells require saturation of this substance in order to perform optimally at processing nutrition and the quality of water we drink is linked to the ability of our bodies to carry out these many managements. A well balanced healthy lifestyle includes drinking plenty of pure water, the exact amount varies with each individual and should be intuited by thirst. A large number of people residing in the fast paced cities of today are chronically dehydrated and subsisting on lifeless liquids. Most municipal tap water is filled with toxic pollutants, (like chlorine and fluoride) and the disposable plastic bottled water industry is not a good alternative for healthy living in the long term. There are solutions however and we suggest starting where you're at and upgrading from there. Out of all the options, wild spring water collected from a source near your home is the best choice available for suiting your biological requirements. Our ancestors had intimate knowledge of the healing power in springs and people from all over the world would migrate just to take in the waters of life. Spas and whole cities were built around these vortex spots and legends were born in them as well. Balneotherapy (from Latin: balneum, "bath") is the treatment of disease through hot and cold spring water and many old time spas are still in existence, from fancy resorts to rustic getaways. Besides being closer to nature, these centers work wonders because their waters are electrically charged with Earth energy and boast well rounded mineral profiles. There are an infinite number of springs that for generations have profoundly healed priests, warriors, women and children, such as the Saratoga Spring in New York's Adirondack foothills and the infamous Lourdes Spring in the south Pyrenees foothills of France. Dr. Masaru Emoto has analyzed many different springs, including the water of Lourdes and has perfectly captured their symmetry through his stunning photography of crystals. Though not all waters are equal, as he details throughout his groundbreaking discoveries. Emoto shows without a doubt that water is alive, stores memories and responds to our thoughts, words and music. For example, if water is exposed to vibrations of love, peace and harmony, then a complementing crystal is super-imposed as a beautiful formation. When water is subjected to negative vibrational patterns, a deformed mutation occurs in its molecular matrix. What's astounding about all this is that the results are always the same, whether written or spoken in any language. Water is truly the universal solvent and transcends all tongues. This exchange is taking place all the time, even though our eyes don't perceive it. Water feels and expresses itself through the language of our bodies and emotional state. In a sense, water seems to be experiencing life through us and whatever we put out, we get back. When water is structurally micro-clustered in formation, it carries information, like a super-computer chip and interfaces with our thought patterns. Whatever we eat, drink and even think, so we become. Before there was Dr. Emoto, there was an Austrian forester by the name of Viktor Schauberger (1885 - 1958) also known as the "Water Wizard". His visionary lifes work flew in the face of conventional scientific rational and he revolutionized many existing models. Through quiet contemplation of free flowing springs in old growth forests, he would cast his consciousness into the water and have it return to him later, dripping with inspiration. His motto was "comprehend and copy nature". He is celebrated for his discoveries in the water sciences and intuited what we now recognise as the quantum or subtle energy effects of water. He opened up doors for today's engineers, scientists and environmentalists to think alternatively about free energy technology in a new light and Emoto's experiments clearly demonstrate the powerful potential of living water. Nature is perfectly designed to organize water in the biosphere. More biophotons in the water equals better organization. The more organized water is, the better it carries out certain tasks like neutralizing toxins in a living cell, regulating temperature changes and shielding against negative influences. Miron glass is specially designed for structuring less than excellent water and recreating ideal conditions for living substances. Simply position your Miron glass with water in direct Sunlight for one hour or even days to receive the uplifting energies. The difference in taste and effect will be notable because of the improved structure. "We here at Miron are aware of our need to be a responsible corporation with regard to environmental, social and economic aspects. These matters are at the very foundation upon which Miron was established and we do our best to incorporate the highest integrity surrounding these issues, while always exploring ways to do better. This is reflected in how our glass promotes preservation of energy and durability when natural goods are stored in our glass. It's also expressed in the interdependent fashion through which we operate our business with wholesome companies in today's complex society. Our customers worldwide truly believe in and promote the importance of natural products for a healthier lifestyle. Many of them are active in projects that coach people to improve their health strategies in many different ways. Together we understand that the Earth is home to the whole life community and are working diligently to improve the quality of our relationships. We support you for caring about your self, your community, and the health of a world where we can all thrive into the future." Glass is essentially made up of minerals, therefore it's inert and does not leach toxins through its walls and into the contents. On the other hand, disposable plastic containers carry petroleum based compounds that can be bad for bodily health and are certainly destructive to the environment. Glass is clearly a better choice for consumers when compared with plastic. When it comes to the health of our planet and our future, every voice, vote and dollar count. It's important to note that it's not only a built in design for all of Miron's glassware to be recyclable but better still that the containers should rather be reused. The unique qualities and protective features of Violetglass are so valuable that it stands to reason for customers to get the most mileage out of it by saving and circulating it for storing their liquids, oils, foods and medicines. Whole homes and offices could eventually boast of beautifully converted kitchens to the absolute finest culinary glassware in the world.